The Community Share Offer to support its wind turbine project is now open. This project will generate at least £2.3m for the North Uist community over 22 years. This is your chance to be a part of that success, by supporting this important community project. You will also earn a targeted annual return of 4% on your investment. 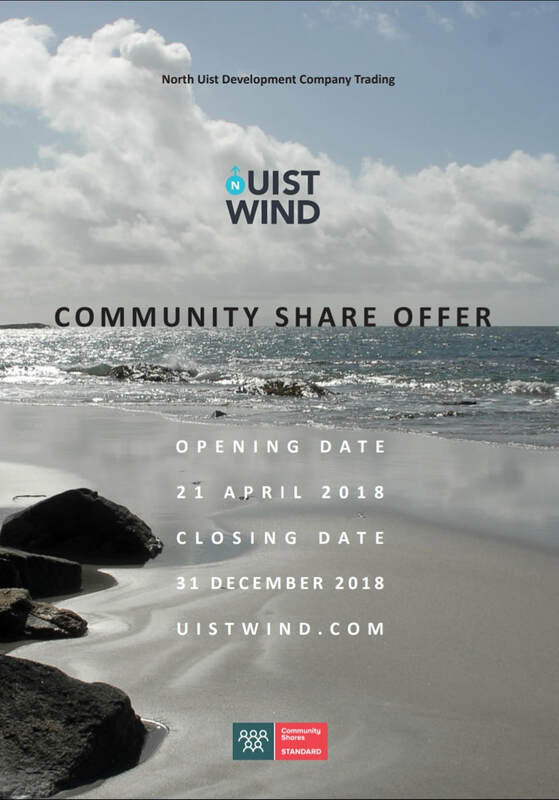 Anyone can invest in UistWind - you do not have to live in Uist! The Business Plan can be downloaded HERE.